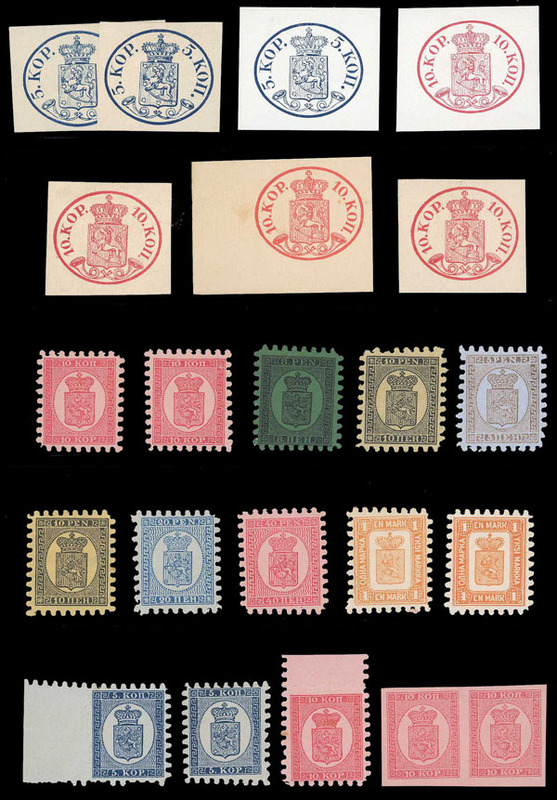 Curaçao, 1873 to 1988 Specialized Cancel Collection, in seven albums and stockbooks, a cancel collection of rarer island marks, many types and varieties with dupl., incl. Airs, Semi-Postals etc., generally Fine to Very Fine. 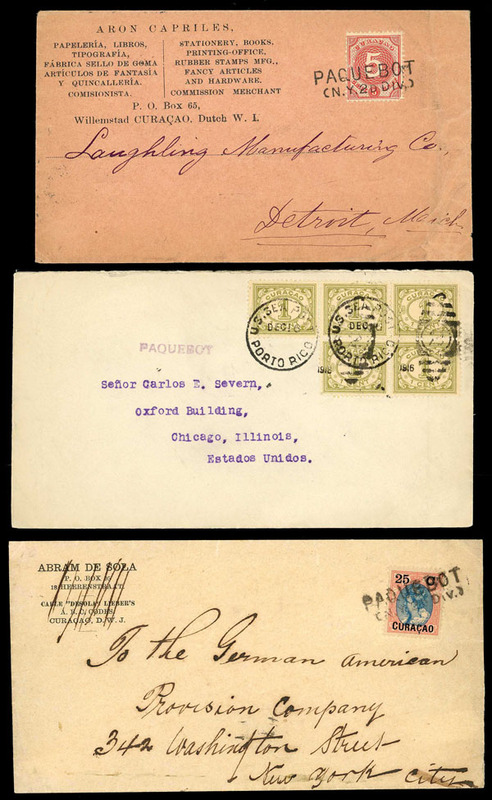 Curaçao, 1894 to 1918 Sea Post Covers, six items incl. ship post, 'US Sea Post Porto Rico' and 'Paquebot', Fine to Very Fine overall. Ex Vadheim collection. Czechoslovakia, Mostly Used Collection, in Scott album mostly used to 1972, and 2 backup mint collections to 1969 in 2 Schaubek albums, considerable amount of complete sets, incl. Semis, Airs, Occupation, Bohemia & Moravia complete, balance mostly complete, Fine to Very Fine lot. Czechoslovakia, Small Group of Better, o.g., #B21 signed Mikulski, B59-B60, B62 with backstamps, and C1-C6, Fine to Very Fine. Denmark, Extensive Mint Stationery Stock, 1,102, mostly mid 20th period but some earlier identified by Michel and/or Higgins & Gage numbers, priced and sleeved, some dupl, mostly $4-$10 range, incl. Aerogrammes, clean, total retail $8,982. Ex. Friedman "Cover Corner" Stock. Faroe Islands, Faroes Mint Collection and Stock, complete 1975-1987 n.h. in album, plus modern sheetlets, booklets, dupl. n.h. sets, few FD's, clean. Finland, Reprint Collection, o.g. or without gum, 41 pieces incl. 4 pairs, from #2 to 68, light dupl. (possibly diff. reprints), Very Fine. 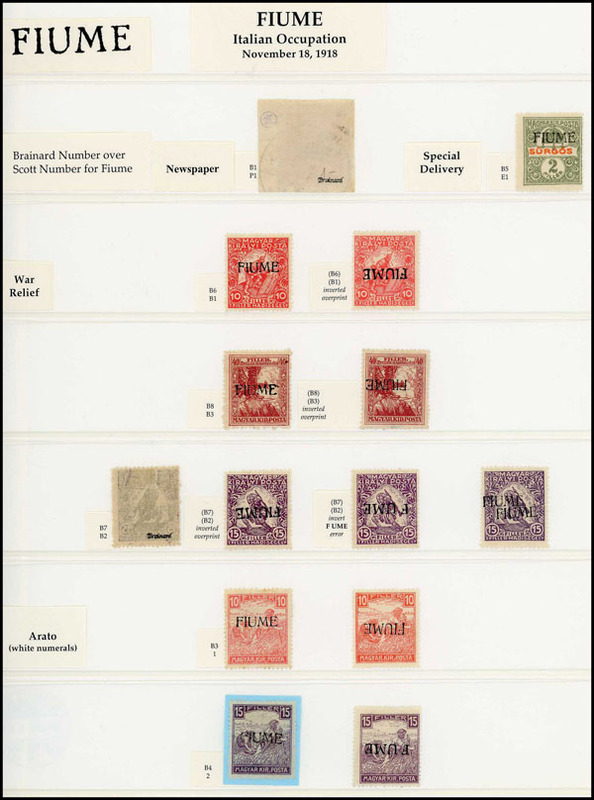 Fiume, Intact Collection, mint or used, few hundred identified by Brainard/Scott numbers, incl. 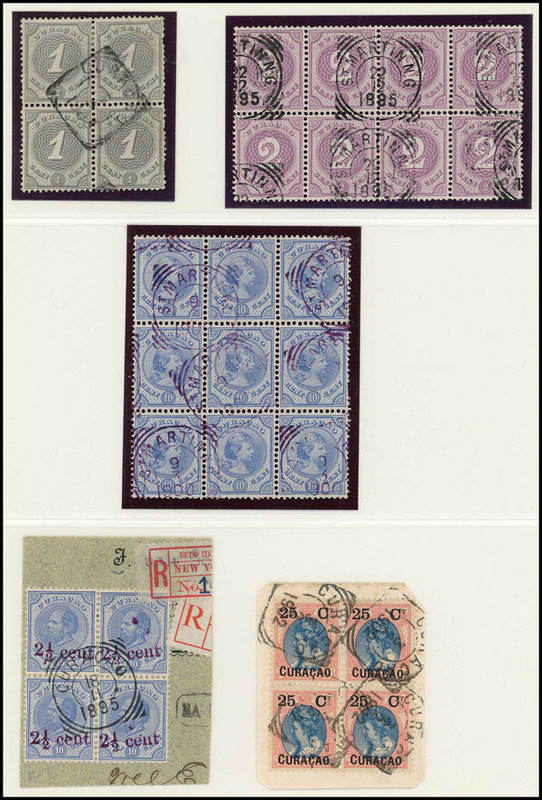 overprints inverted, Dues, double overprints (suspect), etc., Fine to Very Fine, some signed Brainard.